Across print & digital, The Wall Street Journal delivers to the global business elite. Our partnership with The Wall Street Journal allows the Sotheby’s International Realty brand to reach the global business elite and position the properties represented by our network in unique and exclusive positions. The Wall Street Journal spans 12 editions in nine languages, engaging a global readership of 3.6 million across newspapers, websites, magazines, social media and video. Having won more Pulitzer Prizes than any other paper, the Times has consistently set the bar that leading news brands aspire to. With nytimes.com now serving 700 million pages per month, they have successfully applied the same expectations and meticulous standards to the digital world that they continue to do in print. Our brand will blend exclusivity, dominance and new trail-blazing technology with a strategic focus on mobile to reach The New York Times’ global audience. The Financial Times created a custom content series exclusively for Sotheby’s International Realty themed, “Distinctive Living.” This integrated partnership increases awareness by exciting our ultra high net worth audience with original reporting focused around Sotheby’s International Realty’s key markets and engaging them in a high impact new format. Today’s business leaders turn to Bloomberg for unparalleled global business news mixed with cultural pursuits to enrich their professional and personal lives. Bloomberg’s readership connects our brand with high-net-worth individuals with 40% of their audience coming from outside the United States. Bloomberg Media covers the business world like no other, with more than 2,400 multimedia professionals in 72 countries – the largest reporting network in the world – providing unrivaled business news coverage and deep engagement. PropGOLuxury.com was created to fulfill the high demand of our affluent Chinese consumer base requesting exclusive properties from around the world. China represents the world’s largest and fastest growing population, with more new millionaires being created than at any time in history. PropGOLuxury.com is the largest and fastest growing property portal in the China and Asia Pacific region. Architectural Digest provides exclusive access to the world’s most beautiful homes and the fascinating people who live in them, bringing its audience a wealth of information on architecture and interior design, art and antiques, travel destinations, and extraordinary products. As a leading voice in modern design, architecture and interiors for the past 15 years, Dwell.com reaches an affluent, sophisticated and design-savvy audience. As Dwell.com’s exclusive real estate partner, the Sotheby’s International Realty brand leverages Dwell.com’s dedicated audience of architects, registered designers and home design enthusiasts to uniquely showcase the modern properties represented by our network. 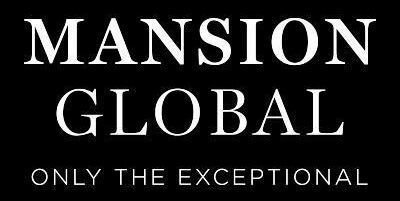 Mansion Global is a luxury real estate destination connecting wealthy, international buyers with exceptional properties. Mansion Global provides insightful market data, in-depth analysis, and relevant news that empowers the affluent buyer to make intelligent purchase decisions. JamesEdition is the premier global marketplace for exclusive real estate, cars, yachts, private aircraft, watches, jewelry and more. Showcasing more than 85,000 exceptional listings, JamesEdition provides a unique platform for active luxury buyers to search and browse luxury opportunities worldwide. LuxuryEstate.com is the world’s leading luxury property portal, with more than 250,000 luxury properties in 113 countries. 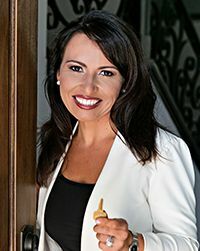 The website and mobile apps generate 500,000 users and 5 million page views each month, making LuxuryEstate the number one portal in the Luxury Real Estate international market. LuxuryEstate has a strong international audience with users coming from 217 countries around the world. Caimeiju (www.caimeiju.com) is an international real estate marketing platform that reaches affluent Chinese consumers searching for luxury property. Consumers searching for San Diego property on the site will only see Pacific Sotheby’s Realty listings ($1 million+) because of our exclusive agreement with the site. All listings are translated into Simplified Chinese by trained linguists familiar with the real estate industry, and since the site is hosted in China, it is behind the country’s firewall, making it fully accessible to Chinese consumers. PropGOLuxury.com was created to fulfill the high demand of our affluent Chinese consumer base requesting exclusive properties from around the world. China represents the world’s largest and fastest growing population, with more new millionaires being created than at any time in history. PropGOLuxury.com is the largest and fastest growing property portal in the China and Asia Pacific region.